WASHINGTON, Jun 29 2015 (IPS) - A key senator and a D.C.-based think tank are calling for Washington to step up its aid in cleaning up toxic herbicides sprayed by the United States in Vietnam during the war that ended 40 years ago. Speaking last week at the Center for Strategic and International Studies, a major think tank here, Vermont Senator Patrick Leahy, who has long led the efforts in the U.S. Congress to compensate Vietnamese war victims, called on Washington to do more, arguing that it will further bolster renewed ties between the two countries. Leahy’s remarks were echoed by Charles Bailey, former director of Aspen Institute’s Agent Orange in Vietnam Program – a multi-year initiative to deal with health and environmental impacts of the estimated 19 million gallons of herbicides that were sprayed over 4.5 million acres of land in Vietnam from 1961 to 1970. Vietnamese Ambassador to the United States Pham Quang Vinh expressed similar sentiments at the event. Hanoi’s ambassador said his government has been spending 45 million dollars every year to deal with the many problems created by Agent Orange and other herbicides used by U.S. military forces during the war. An estimated 4.5 million Vietnamese people were potentially exposed to Agent Orange. The Vietnam Red Cross estimates that three million Vietnamese people were affected, including 150,000 children born with birth defects. Those who bore the brunt of the chemical spraying suffered cancer, liver damage, severe skin and nervous disorders and heart disease. The children and even grandchildren of people exposed to Agent Orange have been born with deformities, defects, disabilities and diseases. Huge expanses of forest and jungle, including the natural habitats of several species, were devastated. Many of these species are still threatened with extinction. In some areas, rivers were poisoned and underground water sources contaminated. Erosion and desertification as a result of the herbicide sprays made barren fields out of once-fertile farmlands. The United States currently funds aid operations in Vietnam through the United States Agency for International Development (USAID). According to Bailey, 136 million dollars have been appropriated to date. But some observers of the programme say still more should be done. Merle Ratner from the Vietnam Agent Orange Relief and Responsibility Campaign said that too little of the aid has gone to the people. Most of it is given to international NGOs, who are then contracted to do the work, she said. “We are suggesting that the aid go directly to NGOs in Vietnam because who knows the people better than their own organisations?” Ratner told IPS. The renewed attention comes at a time when the U.S. and Vietnam have moved closer together, particularly in light of the two nations’ growing concerns over China’s recent assertiveness in the South China Sea, parts of which are claimed by Vietnam, as well as the Philippines, Taiwan, and Malaysia. The general secretary of Vietnam’s Communist Party, Nguyen Phy Trong, is scheduled to visit the United States this year, the first such trip by the nation’s ruling party chief. The warming relationship has helped Leahy further his cause. Leahy met with much resistance in the early 2000s when Washington was clearly reluctant to take responsibility for the destruction wrought by its forces during the war in which an estimated two million Vietnamese and some 55,000 U.S. troops were killed. Vietnam, on the other hand, put the issue on the backburner as it focused on gaining preferential trade status (Permanent Normal Trade Relations) for exports to the huge U.S. market. While Washington and Hanoi established full diplomatic relations in 1995, it wasn’t until 2002 that the two governments held a joint conference on the impact of Agent Orange and other herbicides on Vietnam and its people. In Dec. 2014, President Barack Obama signed into law the Fiscal Year 2015 Appropriations Act that specifically makes available funds for the remediation of dioxin contaminated areas in Vietnam. Much of those funds have been earmarked for a clean-up project at the former giant U.S. military base at Da Nang, which is 824 km from the capital, Hanoi. The project is expected to be completed in 2016. The U.S. military sprayed Agent Orange and other herbicides over many parts of rural Vietnam, destroying millions of hectares of forests in an attempt to deny the Viet Cong insurgents and their North Vietnamese allies cover and food. Two-thirds of the herbicide contains dioxin. According to the National Institute for Environmental Health Science, dioxin is a compound found to cause cancer and diabetes, as well as a host of other diseases. A scientific report in 1969 also concluded that the herbicide can cause birth defects in laboratory animals, thus leading U.S. forces to halt the use of Agent Orange in 1970. A 1994 Institute of Medicine study records that there was a growing number of Vietnam veterans who have fathered handicapped children. Many still dispute the link between Agent Orange and birth defects—Vietnam veterans in the United States still cannot claim benefits for birth defects in their children. While welcoming Washington’s new aid programme, some activists who have long called for the U.S. to help Vietnam address the problems left behind by Agent Orange insist that U.S. should both do more and provide more direct assistance to Vietnamese groups on the ground who believe that the United States’ funds could be better distributed. Susan Hammond, executive director of the War Legacies Project, said she hopes to see more of the money go to rural Vietnam. Tim Rieser, Leahy’s chief staffer with the Senate subcommittee that deals with foreign aid, recalled that it was initially very difficult to obtain any funding from the government. “The State Department and Pentagon were very resistant to the idea of any kind of action by the U.S. that might be interpreted as reparations or compensation,” he said. Rieser said he is currently urging the Pentagon to help fund the cleanup of the Bien Hoa airbase, 1,702 km from the capital. He said the area could well contain even higher levels of dioxin than Da Nang. And he urged Obama to include additional money in his proposed 2016 budget. A very good article covering many of the issues. Zhai Yun Tan has done a wonderful job here. The only thing I want to add is that Canada is terribly responsible for all these issues as well. We manufactured Agent Orange and provided much of the military materiel for the war – including the first fixed wing aircraft to spray RVN. According to Information Manual for Vegetation Control in Southeast Asia, it was a C-47 (AKA a de Havilland Canada Caribou) that was tasked with the first aerial spray missions in 1961. 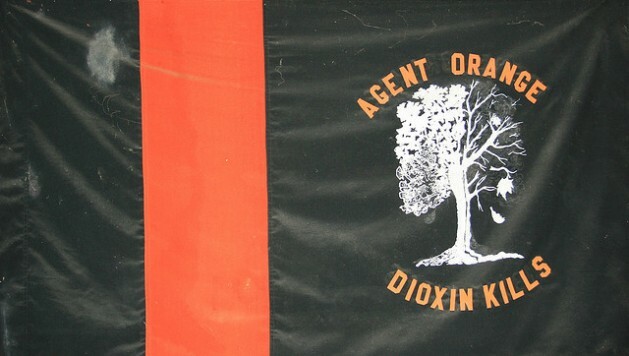 Field testing and perfection of the dosage was accomplished at Canadian Forces Base Gagetown in New Brunswick prior to Agent Orange’s debut in 1965. In 1967 Canada’s entire national production of 2,4,5-T was sent to Viet Nam. The question for Prime Minister Stephen Harper is: How is Canada any less responsible than the USA in this matter or any less obliged to help in decontamination and humanitarian efforts?